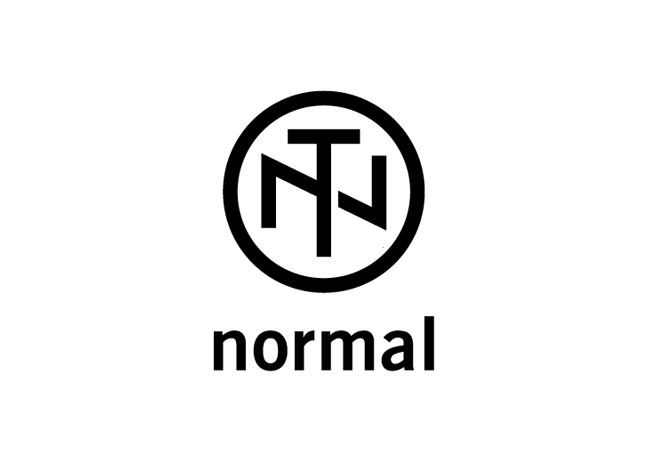 In 2006, product designer Ross McBride created Normal as a venue to express his own aesthetic, and thoughts on design. Raised in the United States, and living his entire adult life in Japan, Ross has been greatly influenced by pioneering mid-century American design, as well as the Japanese sense of minimalism, and craftsmanship. Ross believes that the products we choose for ourselves, particularly the ones we carry with us throughout the day, are extensions of us. They should act to reenforce our persona, not distract from it. Therefore, as policy, their identity never appears on the watch face, so that their brand never competes with your brand. Normal products are created for those who appreciate such subtlety, and have a quiet confidence in their own design sensibilities. The four Hibi Ø38, and two Hibi Ø32 watches make up Normal’s latest collection, launched on September 20th at the Design Junction tradeshow during the London Design Festival 2017. 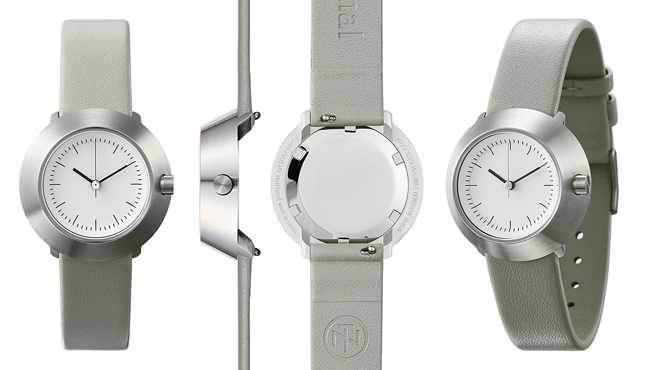 Hibi is the culmination of much work to embody the brand’s sense of innovation, and simplicity. Its overall silhouette has been completely streamlined with its crown, and band set into its body. In and of itself, this is not uncommon, but to do it in such a thin case is unique, and requires very precise construction. The factory they have partnered with for the first time to produce this watch is one of the few in China that can attain this level of quality. Hibi’s unique split case configuration enables them to create an unexpected two-tone composition. 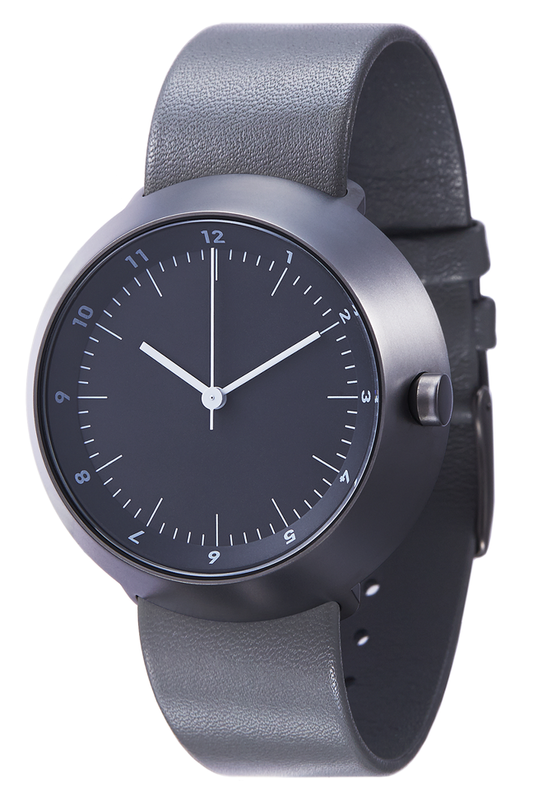 With the number of surface treatments they have access to (brushed hairline, polished, and sandblasted matte), the available plating colors, and all of their new interchangeable leather and mesh bands, there is nearly an unlimited number of potential variations for them to explore. 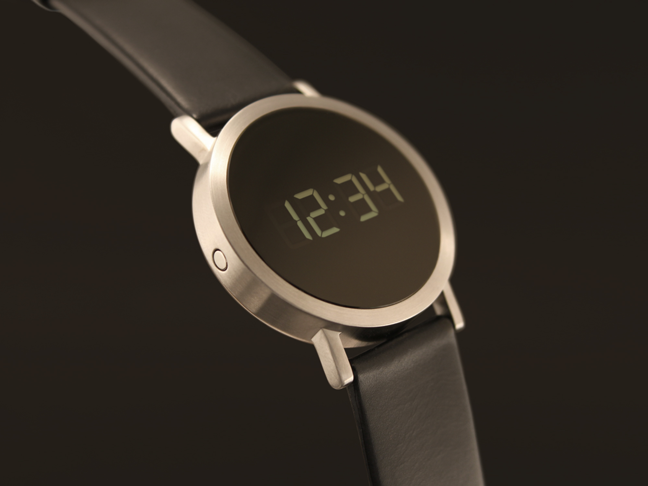 This watch was the first product launched by Normal in 2006. 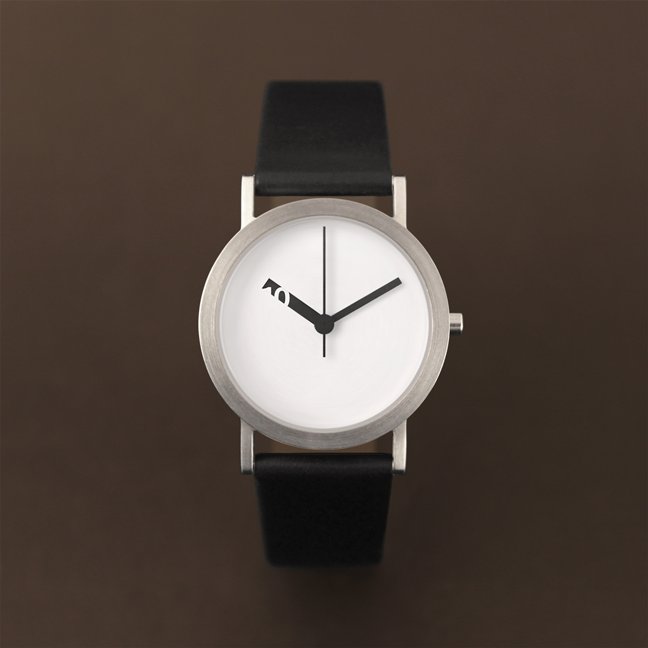 It embodies their initial idea of what a “designer” watch should appear to be. 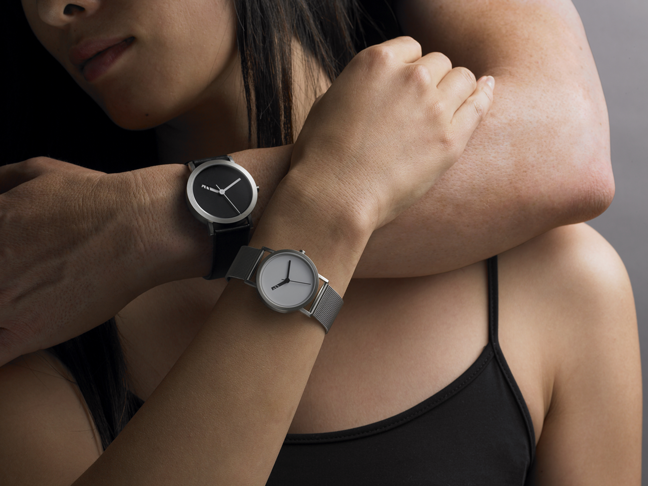 Extra Normal approaches the purest expression of a minimalist timepiece, but things are not quite so simple. A subtle effect is taking place as elusive numbers pass in and out of view with the progression of time. 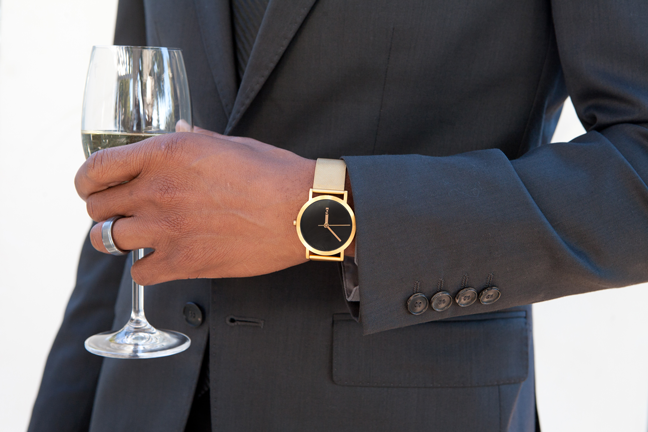 The hour hand is actually a disk making up the watch’s face. Its hand-shaped window exposes the numbered dial underneath. The Extra Normal Grande range is our most established collection which embodies our fundamental style. 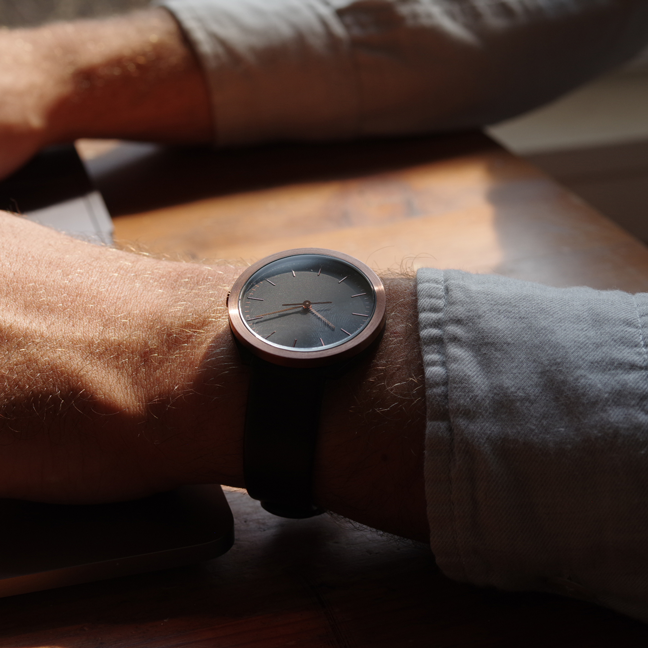 It approaches the purest expression of a minimalist timepiece, but things are not quite so simple. A subtle effect is taking place as elusive numbers pass in and out of view with the progression of time. 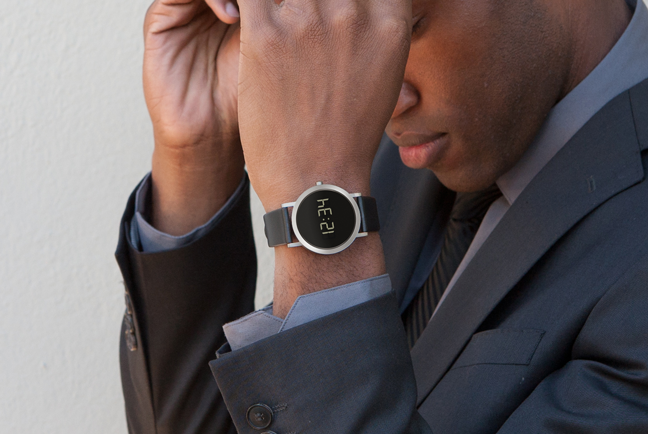 The hour hand is actually a disk making up the watch’s face. Its hand-shaped window exposes the numbered dial underneath. The Digital Grande was conceived as a digital watch in an analog body. Its case is identical to that of it’s predecessor, the Extra Normal Grande. 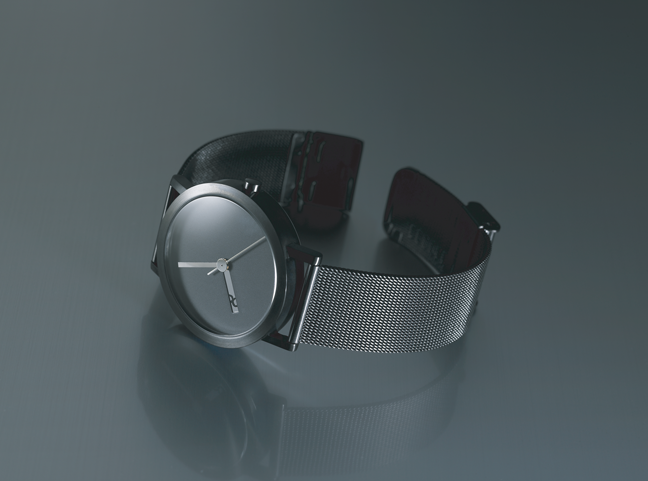 Two unique features make it distinctive among digital watches. First is the custom display that combines a high contrast LCD screen with an innovative construction technique developed by Normal. This enables the digits to become very brilliant on the consistently black face. Second, the “crown” is actually an intuitive duel-action pusher switch. Press half-way to activate the backlight. Press all of the way to access time, seconds, and date modes. The Digital Grande keeps time in “military style” 24 hour mode. The thickness of this Fuji watch’s unique case is only 7.5 mm, but appears to have a greater volume as its sharply tapered sides expose much more case surface than you usually see. 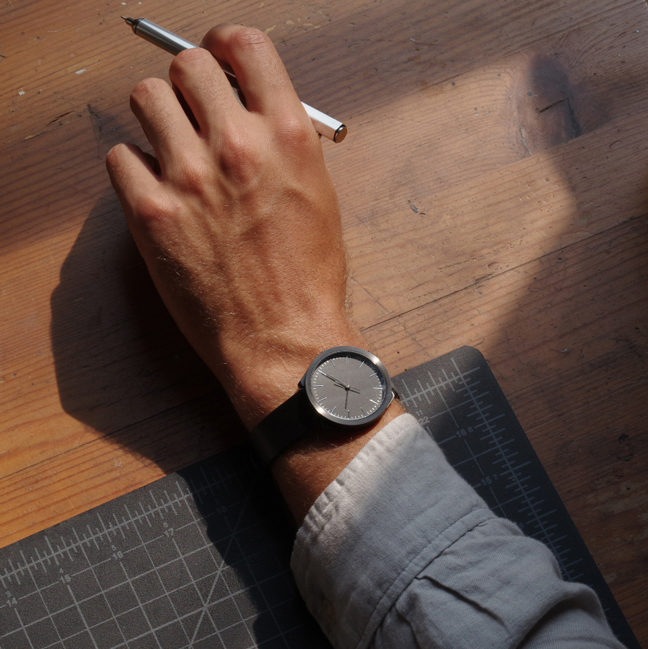 Its conical form is comfortable, and flows naturally from your wrist. The thickness of this Fuji watch’s unique case is only 8 mm, but appears to have a greater volume as its sharply tapered sides expose much more case surface than you usually see. 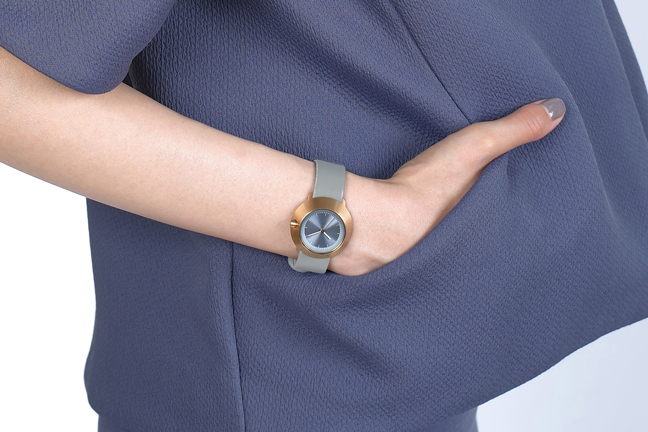 Its conical form is comfortable, and flows naturally from your wrist. No tools are required to replace their bands on any watch, as every one is equipped with an easy release lever. All of their leather bands are made of premium calfskin leather. Their mesh bands are 315 grade stainless steel.